It has been unusually cold here this winter. For Austin, that is. While mentioning temps in the 20s and 30s might elicit a guffaw from my friends up north, we are not as equipped here in Texas. We’ve burned a lot of firewood, busted out the scarves, and opened up some big, red wine. Two of the wines we opened on chilly nights were samples from Washington. While my breadth of experience with Washington wines is wanting, my depth of respect for the wines I tried is not. One winery has been making varietally specific wines in Walla Walla for over 30 years The other is newer to the game with a unique take on a common variety. 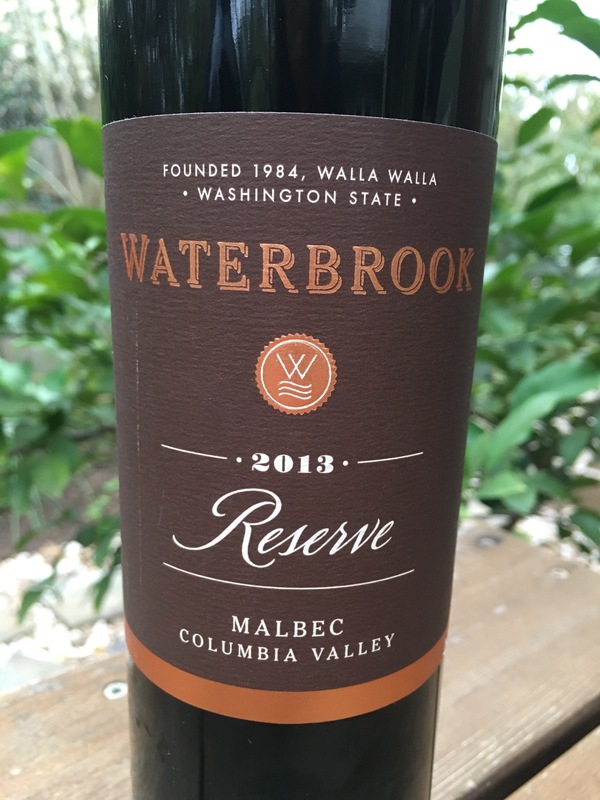 Waterbrook’s 2103 Reserve Malbec pours a deep purple with ruby rim. Black plum, blackberry run as deep as the color. The tannins are dusty, balanced with a bit of acidity, a finish of cedar and spice. This wine has depth but is approachable and can be found for around $20. Owen Roe creates wines from Washington and Oregon. They harvest by hand, produce with minimal intervention and ferment in small-lots using French Oak. While that sounds like a standard approach for boutique wines, the 2014 The Pearl Cabernet Franc from the Union Gap Vineyard is anything but standard. The vineyard is in Yakima Valley, the grapes from the Pearl block of the vineyard. Upon opening, I could tell the wine needed some time to return the favor. After a brief wait, the first sip indicated a clearly balanced, well-made wine. As it opened, it produced notes of black cherry, black tea, violet, and cedar. The green notes I expect from Cab Franc were barely there, perhaps due to a warm growing season. Warmer, rounder, than many I’ve tasted, this wine was an absolute pleasure to drink. With each sip, the wine continued developing and settling into one I’ll not soon forget. I was disappointed to miss a recent media event in town with dozens of Washington wines. It would have been a great opportunity to explore further. But the flip side is that at events like that, it is hard to give each wine the time it deserves. It is hard to sit with a wine as it unfolds. So while a trip to the region would be ideal, I can just plan on grabbing a few more to open by the fire. If it dips below 50 in Austin, I can assure you there will be more.